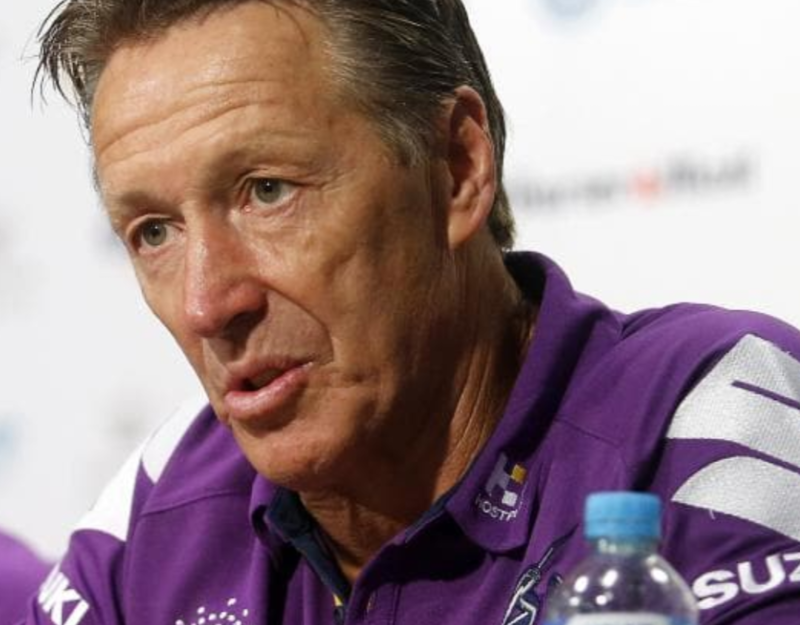 Melbourne Storm coach Craig Bellamy admits 2018 has been “very challening” and losing Cooper Cronk to the Sydney Roosters has been a major factor. Despite that, the Storm are still sitting pretty in the preliminary final awaiting the winner of Cronulla and Penrith. “With the events of this year, it’s been a very challenging year to be quite honest,” Bellamy told SEN.
“I’m talking about coaches, but also as players and the club, it has been a challenging year in different ways. “We lost a few players after last year’s Grand Final and obviously losing Cooper (Cronk) we always knew that was going to be a hard position to replace. Melbourne has also been hit by the injury bug in 2018 which hasn’t been lost on the iconic mentor. The Storm are gunning for their third successive decider and the first club since 1997-1998 to go back-to-back. Join the Steele Sports Commentary Team this Saturday from noon for all the action of the preliminary final of the Intrust Super Premiership between the Penrith Panthers and Newtown Jets live on steelesports.com.au!